The Artichoke is a Plant. It is the immature flower of a thistle plant and one of the oldest cultivated vegetables in the world. From the leaves to the fruit, artichokes are simply delicious. It is a nutrient powerhouse and a versatile food, having associated health benefits of protecting against various forms of cancer and heart diseases. They are mainly found throughout Europe, the Middle East, and the USA, but they are less frequently found and used in Asian nations. Let’s see some of the amazing Health Benefits of Artichokes. They are low in fat and cholesterol while being a rich source of fibre, vitamins, and minerals. It contains vitamins which include vitamin C, thiamin, riboflavin, folate, vitamin B-6, A, E, D and vitamin K. Artichokes also provide minerals such as calcium, iron, zinc, sodium, potassium, manganese, phosphorus, and zinc. Rutin, quercetin, and gallic acid, in particular, are able to induce apoptosis or cell death within the body, thereby it prevents the proliferation of cells which leads to many forms of cancer. Artichokes are an antioxidant-rich superfood. They have chemicals that can reduce nausea and vomiting, spasms, and intestinal gas. These chemicals have also been shown to lower cholesterol. Being rich in potassium, the essential mineral which coordinates with several organs in our body, they help to neutralize the effects of excess sodium, which has abilities to increase blood pressure. Certain ingredients in the leaves of artichokes have been found to reduce the levels of bad cholesterol (LDL) and increase the levels of good cholesterol (HDL, or omega-3 fatty acid). They contain cynarine which has abilities to increase the production of bile, helping to speed up the movement of food and waste through the intestines and reduce feelings of being bloated. Being a rich source of vitamins and minerals including magnesium, phosphorous, and manganese, it increases bone health and density, thereby reducing the chances of conditions like osteoporosis. Artichokes are rich in Vitamin k, protection against neuronal damage and degeneration, and protects from ageing and Alzheimer’s disease. It helps pregnant women have healthy, normally formed children. The high levels of folic acid found in artichokes can prevent neural tube defects in the newly born. They are also rich in manganese which is used in the metabolism of cholesterol, amino acids, and fatty acids, making it absolutely essential in enabling the body to correctly utilize the nutrients in the foods we eat. In foods, artichoke leaves and extracts are used to flavour beverages. 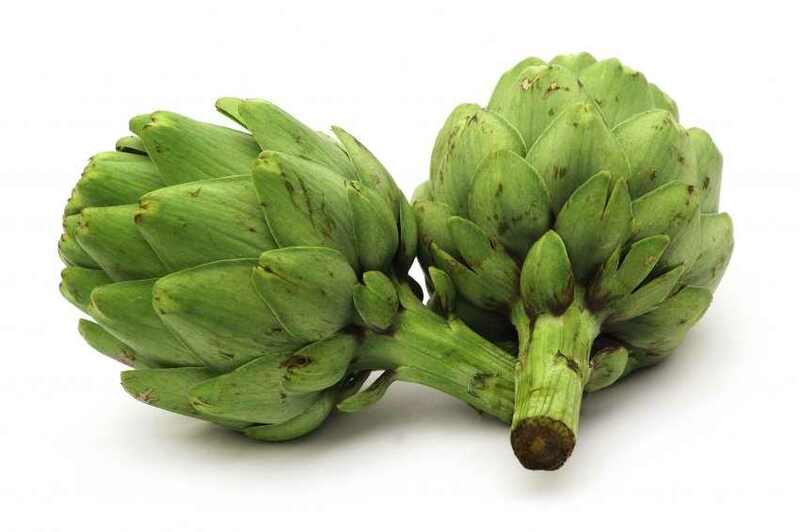 Cynarin and chlorogenic acid, which are chemicals found in artichokes, are used as sweeteners.